Rediscover us at Discovery! Again! Our last show at Discovery Ventura went remarkably well, so we’re coming back on June 24th! Doors open at 8:00pm, if you’d like to get dinner or maybe bowl a few rounds. It’s a great time for selfies, too! We’ll be joined that evening by Alice Underground, an accomplished jazz band whose members also comprise another of our favorite bands to play with. Well, here’s some footage of their recent trip to Uzbekistan, as part of the US Arts Envoy exchange program on behalf of the United States. Come early! They hit the stage at 7:30pm, and you don’t want to miss them. Our featured vendor artist is Stefani Lee of Lee’s Menagerie. Stefani always brings an assortment of magical creatures. If you’ve seen her work, you know why we keep bringing her back. Be sure to find Stefani before you leave. She’s awesome, and her work is even better in person. Once again, the show starts at 9:00pm. Doors open at 8:00 for food/drinks/bowling, or just saying hi before we’re all gross and sweaty. Here’s those links again. You can’t escape ’em. Wine, artisanal food, and a beautiful evening in Balboa Park? 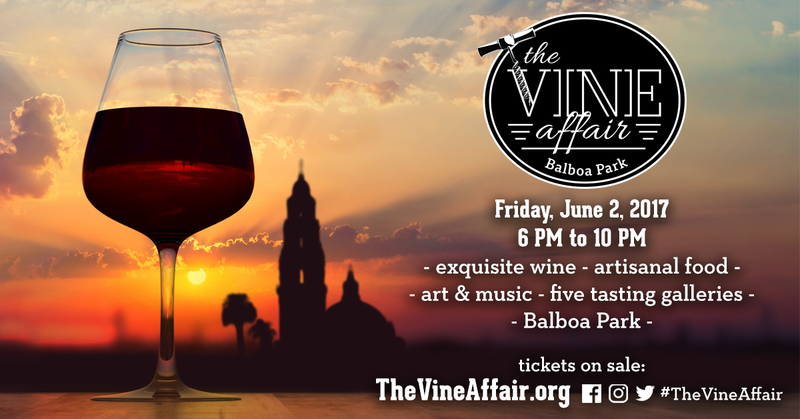 The Vine Affair is Balboa Park’s first annual wine event, spanning numerous themed locations. You’ve got the San Diego Art Institute presenting performance art, along with eclectic wines and breweries. More specifically, they have twenty-three unique collaborations between artists and scientists! The Balboa Park Conservancy is working with Prado Restaurant to honor Balboa Park’s heritage with Spanish wine, paella, tapas, and Spanish guitar. The San Diego Model Railroad Museum has mid-century jazz, to compliment their exhibit of historic model railroads of the 50s and 60s. The San Diego History Center is celebrating San Diego’s Jewish community, with Jewish wines and music. There is something for everybody, but mostly for wine lovers. 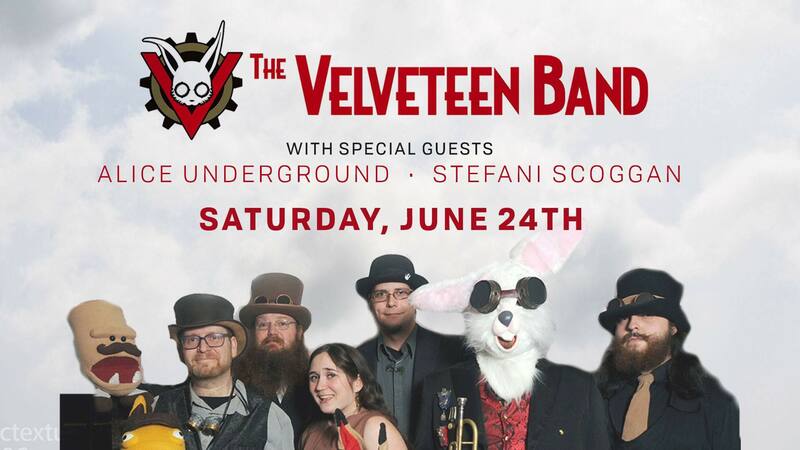 And rounding out this eccentric collection is none other than the Velveteen Band! We’ll be playing a few sets at the Fleet Science Center, in Victorian London, and perhaps adding a little something to the mystery of it all. – Check out some of the other entertainment!